Eventbrite, the world’s leading ticketing and event technology platform, has officially opened its new 11,500 square feet office in an historical bank building at South Mall 97 in Cork. The opening ceremony was attended by local and national dignitaries including Tánaiste Simon Coveney, Lord Mayor of Cork Tony Fitzgerald, and the IDA’s Executive Director Mary Buckley. Eventbrite’s new home on Cork’s emerging ‘Silicon Mall’ is the latest milestone in the company’s history in Ireland, which started with a localised page for Irish event organisers in 2011. Eventbrite launched a first physical presence in Ireland in 2014, and followed it up with a customer service centre in Cork in February 2016. The Cork office subsequently evolved into a fully fledged hub for the company’s European operations and quickly required a much larger space to grow into. 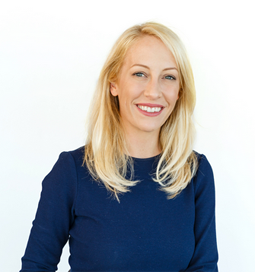 Eventbrite was founded in 2006 by Julia Hartz (pictured), Kevin Hartz, and Renaud Visage. Eventbrite is currently hiring for various international departments in its Cork office, which include customer service, trust and safety, risk analytics, account management, and business development.